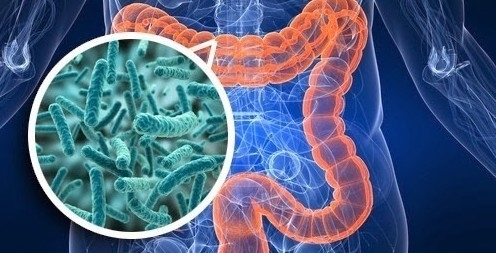 The gut microbiota has been one of the most vividly debated topics over the past year, and continues to make headlines in 2018. Countless research papers, newspaper articles and online health blogs have recently been reporting on the importance of a well-functioning digestive track, and scientists are only starting to discover the influence bacteria in our gut have on our overall health and well-being. Before diving deeper into matters, it is worth mentioning that there is a difference between microbiome and microbiota. Often wrongly used interchangeably, the term microbiome describes all microorganisms in the body, while microbiota means a population in a certain location such as the gut or the skin. It is now widely accepted that the key to our health lies in our gut. In fact, 80% of our immune system is in our microbiome, which is made up of bacteria, viruses and other microbes living in the large intestine. There are over 1,000 species of bacteria – and each has a different role to play! Often overlooked, bacteria are just as influential as the genes in our body and if there is an imbalance of bacteria, we feel the consequences quite quickly. So…why is a healthy gut flora essential? It not only regulates our immune response to threatening viruses and pathogens but also synthesises enzymes, vitamins and neurotransmitters so that they are readily available for us to use when we need them. It further controls our inflammation levels in the body as well as our brain health – this phenomenon is often called the gut-brain axis and describes the communication between the cognitive brain centres and the intestinal system. But its work does not stop there – a healthy gut also promotes heart-healthy HDL cholesterol and keeps blood sugar in check – an indispensable task in today’s increasingly diabetes-ridden world. Today’s modern world is living increasingly longer – yet at what expense? The majority of people are experiencing their later life in chronically unhealthy states that are not only a burden to themselves but also to their friends and relatives. The main culprit is diet: we are eating food that is highly processed and full of sugar, dairy, antibiotics and hormones, and is lacking sufficient fibre. The list of problems associated with this development is long: obesity, decreased immune function, inflammation, diabetes, cancer, autoimmunity, depression and allergies. These “Western diseases” are on the rise, and are mainly due our urbanised lifestyle that has been heavily influenced by technological advancements that change the way we eat, function and also live. The majority of our time is now spent in a sterile, manufactured environment that has a major impact on the diversity of the bacteria in our bodies, and with a diet that is stripped of major nutrients; this is not good news. The gut microbiome: one of 2018’s hottest wellness trends. While our bodies (and their bacteria) always had time to adapt to given circumstances in the past, many scientists claim that now our human genome simply cannot catch up with the changes in environment and diet at the speed the world is developing. Our ancestors were hunter-gatherers, with a diet consisting of predominantly wild plants, fresh meat and unprocessed foods – which is very different to the standard American diet today (think dairy, cereals, refined sugars, alcohol, excess salt and oils). Interestingly, when comparing the health of many of today’s native populations of Africa or South America with the one of many Western countries, it becomes clear that these tribes hardly suffer from the same conditions that are killing us in the West. In fact, chronic inflammation, which is now common in developed nations, is hardly present in populations that live a more traditional lifestyle. In the US, the per capita consumption of refined sugars has increased dramatically over the course of the past decades – from 56 kg in 1970 to 69 kg in 2000! Studies have shown that the average American gut microbiota is therefore less diversified than some traditional hunter-gatherer tribes, which is mainly due to the fact that the sugar-rich foods (of which we obviously have too many) are also oftentimes low in fibre. The real problem with this situation is that an unhealthy microbiota can be inherited if the fibre content is low over several generations – and can never be completely reintroduced once the damage is done! So what is the real problem with consuming too little fibre? While fibre is a part of a plant (meat does not contain fibre) that cannot be digested by our bodies, it yet plays an essential role in our gut health as our good bacteria feed on it, therefore multiplying and being able to do their job properly. Without fibre, the microbes living in our gut are forced to focus on molecules that resemble those of fibre, often found in the mucus layer covering the gut or even in the lining of the gut itself. When those microbes leave the gut (known as leaky gut syndrome), this can trigger an immune reaction that can lead to pain, cramps, fatigue and even depression. Furthermore, the less fibre content our food has, the less diverse is our microbiota, making it more prone to attacks from invasive bacteria. It is important to include regular sweat sessions to promote biodiversity in the gut and simulate growth of good bacteria. Studies have also shown that workouts can lower inflammation, balance hormones and strengthen the immune system. Most of us do not reach the recommended daily amount of fibre (women 25 g and men 38 g). In fact, the average American eats only 15 g, which is far behind the intake of any traditional tribes living today. Some of the best foods we can consume are whole grains, herbs, greens, nuts and berries. Also, we can reap great benefits from fermented foods like yoghurt, sauerkraut and kimchi as they contain prebiotics that nourish our healthy bacteria. Artificial sweeteners on the other hand should be avoided as they stimulate bad bacteria growth. If you are regularly sleeping less than seven or eight hours a night, it might be time to rethink your routine and schedule some additional bedtime – for your gut’s sake. Research has shown that too little sleep negatively affects the gut flora and can lead to weight gain over time due to the gut microbiota being altered in a way that leads to a positive energy balance and a change in the ratio of good and bad bacteria. Recent studies have demonstrated that our physical environment plays a much bigger role in our gut health than expected. Today, most of us are spending 23 hours of the day indoors, which means that microbes from inside have a much bigger influence on us than microbes from outside. Unfortunately, microbes living in the built environment are much more resilient and oftentimes less beneficial for us – we are made to interact with the living environment and microbes in the air and soil. In reality however, 54% of the world lives in an urban setting, with the number set to increase to 66% by 2050.